Mother and Baby Postnatal Yoga Course is back again! Begins 17th February for 5 weeks. 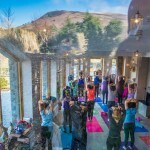 Join Elaine for an invigorating vinyasa flow yoga class at the Gap of Dunloe. The class will include meditation, breathwork, and the use of doTerra essential oils to enhance the experience followed by a delicious brunch and tea / coffee. Weather permitting the class will be outdoors, otherwise we will be using the beautiful Heather restaurant for our class. 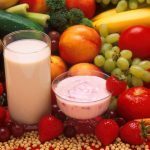 The class will run from 9am until approximately 10:30am and will be followed by brunch in Heather. The subdued quality of a restorative yoga practice helps you draw attention inward and away from external events and situations of the world. With your awareness directed within, the practice becomes a sanctuary for the mind and spirit from which you can take a deeper look at who you are, what you want, and how you can serve the world. Restorative yoga opens us up to new levels of self-exploration and contemplation, allowing your inner being to shine forth. 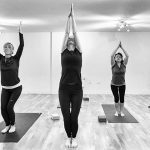 Navé Yoga’s Introduction to Yoga course provides beginners the opportunity to learn the fundamentals of yoga in a fun and supportive environment. The classes emphasise proper alignment, introduce breathing techniques and are designed to provide a firm foundation on which to build your practice. You’ll finish the course feeling fully equipped to join our general classes.